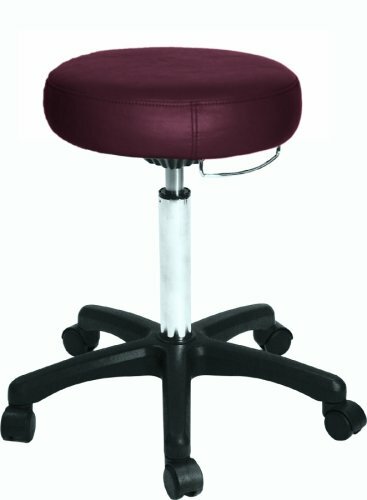 The IRONMAN Rolling Stool comes in 2 rich colors. Navy Blue and Burgundy. The seat is constructed with 3" of thick foam for supreme comfort. The stool has a towel/holster bar for hanging accessories. It has an adjustable height range with a chrome finished cylinder. It is easy to assemble and has extra durable casters for easy movement. Strength and durability like the Ironman brand.